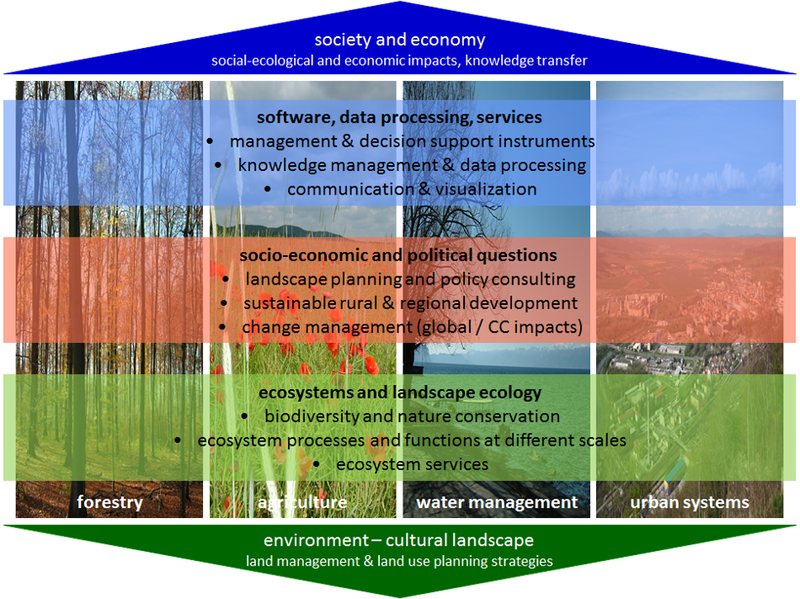 The uppermost aim of European Land use Institute (ELI) is to build a sustainable and long lasting partnership in research, development, and capacity development in integrated land use. Our motivation is to bring together excellent R&D partners that are dealing with land use, land management and landscape planning covering research in agriculture, forestry, water management and urban systems from ecological, economic, political and technical point of view. Therefore, we decided to set up our cooperation in form of a virtual institute, where complementary thematic areas are identified which support connecting best the competences of our ELI partners. ELI became an independent multilateral cooperation platform that started 2011/12 funded through the German Federal Ministry for Education and Research (BMBF) and continues now based on a collaboration agreement and in-kind contributions of the partners. Beyond, ELI maintains the partnership and its services on the basis of mutual collaboration projects and partially based on conferences. We are European Nodal Office of the Global Land Project (GLP) with a thematic focus on land management, land use planning and land use policies. We cooperate with the International Association of Landscape Ecology (IALE), International Union of Forest Research Organizations (IUFRO), Ecosystem Service Partnership (ESP) and German Alliance for Agricultural Research (DAFA). Fig. 1 shows the thematic structure of ELI. Focus of our cooperation is to develop approaches how to further evolve interdisciplinary research in integrated land use, and to provide a platform for exchange and learning from other disciplines and for mutual support in project and publication activities. So far, 81 partner institutions from 24 countries signed the ELI cooperation agreement, which structures cooperation, integration and contribution of each partner.